Balancing Your Reading Instruction- and A Great Back-to-School Deal! Last year as a reading specialist, I saw so many students who were good at PART of reading. They were fluent decoders... who couldn't understand a drop. Or they would struggle with every letter and sound, but they'd be able to recite it back to you. I realized very quickly that my kids needed a balanced approach to reading. 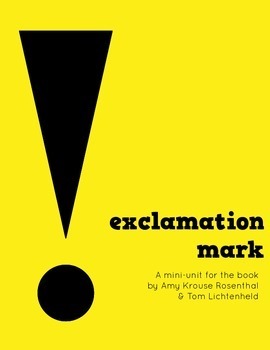 They needed a little of everything in bite-size lessons and continued practice so they didn't lose it- plus some "real reading" to apply the mini-lessons we'd learned! Of course, not every day was like this... but in our 45 minutes, we usually tried to hit on phonics, fluency, and comprehension for sure. It's a lot of work, and it takes time to put together a guided reading routine. I used my friend Em's plan (you can read it here at Curious Firsties) as a great place to start my planning- and then I looked at what my kids really needed... a little of everything! I sometimes use some of my products as part of our routines. Here's my Reach for the Stars Fluency Folder Kit! Last year, when I was a reading specialist, we were required to track our students' progress in fluency... but so often, kids see that timer come out and instantly think they have to speed-read. I really worked with my kids on seeing fluency as multi-faceted- including Pausing, Accuracy, Speed, and Expression- "not reading like a robot." This kit is the best way I've found to keep parents in the loop, let students track their own progress, and help me organize my fluency data too! My multi-syllabic word games were inspired by one of those kids who could decode like a champ... if the word was short. The minute you gave him a two or three syllable word, all of his skills were mysteriously gone! This pack focuses on reading words with common suffixes and helps "chunk" the big words by putting small spaces between each word part. My kids love playing this game, and after a few rounds, I can really tell a difference in their decoding skills! And of course, one of my Super Text Detectives packs! 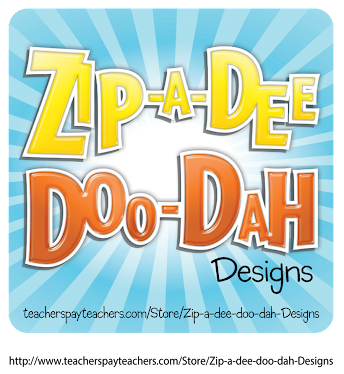 I have to tell you- these are by far my best-selling type of product on TeachersPayTeachers, and one of the most popular with my students, too. With Common Core's focus on text evidence, I asked my students to cite their reasons... and quickly found out that many of them didn't really understand how to go back in the text and find the answer, even when it was stated exactly! With this product, they HAVE to go back- because the directions are to underline the answer in the text with a certain color. My kids thought this was much more fun- coloring instead of writing? Woohoo! Finding the text evidence in this FUN way really set the stage for moving the skill to writing. It was really ideal for remedial reading comprehension with my RTI kiddos! Of course, you don't need any products to balance all the different elements of reading- but these have definitely helped me keep it all straight! 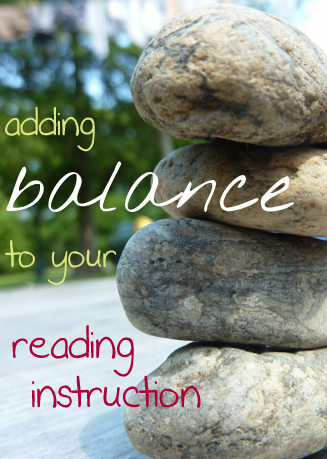 How do you balance your reading instruction?